In the spring of 2013, the Foundation awarded a grant to Cumberland County Schools for the creation of a science lab at VanStory Hills Elementary Schools. 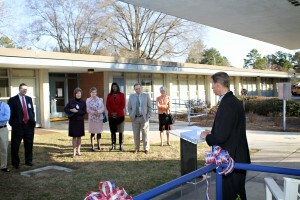 Read all about it here – http://fayobserver.com/articles/2013/04/30/1252591. The Foundation will begin offering grants to teachers, administrators, and schools in the 2013-2014 school year to promote inspired hands-on learning. 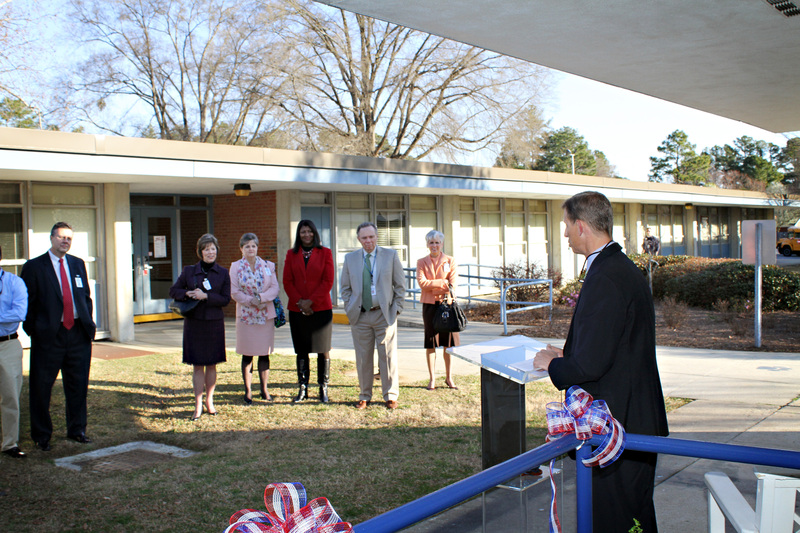 See a photo of Jimmy Mask, principal of VanStory Hills Elementary School speaking at the ribbon cutting below. For more pictures from the event, visit our gallery! Principal Jimmy Masks speaks to members of the Cumberland County School Board, VanStory Hills Elementary teachers, members of the SSFMF board, community leaders, and the Fincher family in attendance at the ribbon cutting.